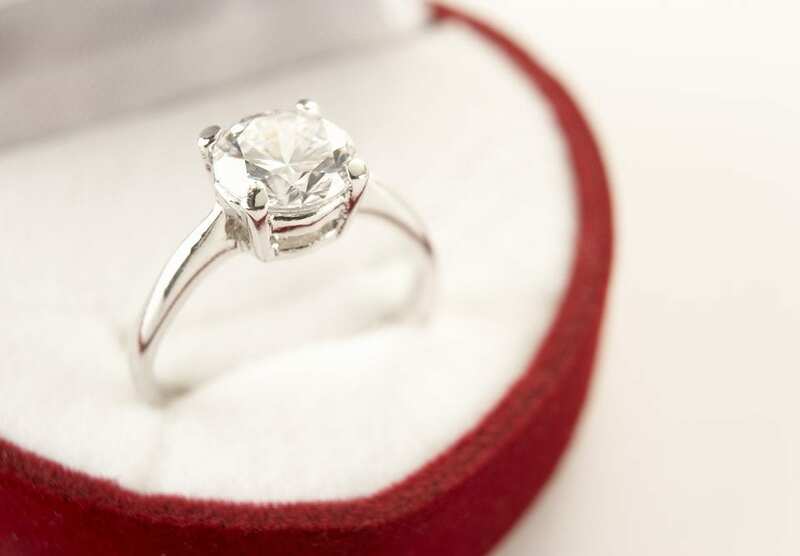 At AAA Jewelers, you come to us because of our long-time reputation for quality and service. We’ve been buying and selling custom jewelry for over 70 years, and our clients know we only deliver the best materials and diamond rings. This means we’re a reliable resource for an unfortunate part of the diamond and precious stone world: Fakes. There’s a huge market of fake stones out there, non-authentic options that are either totally fake or haven’t been GIA-graded like all our pieces have. And while you can only truly know if a diamond is real by bringing it to our professionals, there are several quick tests that can at least give you a very good idea. Let’s look at these for any situation you might come across where you aren’t sure if you trust the legitimacy of the diamond source. The water test is one that can only be done for a loose stone, not one that’s in a ring already. Fill a glass of water about three-quarters full – the temperature doesn’t matter here. Drop the stone in, and check to see if it floats. If it does, it’s almost certainly a fake and not a true diamond. As many who have researched them know, diamonds are made entirely of carbon, a strong organic material found all over the globe. This means that they conduct heat – if you blow on the surface of a diamond, the fog from your breath should go away immediately. If you do this and notice that the fog on the surface of the stone lingers for even a few extra seconds, though, it’s a telltale sign that you’re dealing with a fake. Just make sure you’re doing this test with a fully clean stone, as there might be some confusion if the stone is dirty. Using magnification like a jeweler’s loupe, do your best to focus in on a star facet at the crown of the stone. You’re looking for the facet lines on the stone, which our pros can help identify for you – there should only be one of each facet line. If there are two of each, this signals doubling, which means the stone is synthetic. If you can’t tell for sure using the above method, use the same loupe to focus on the inside of the stone instead of what’s on top. If you see absolutely nothing inside, you’re either dealing with a truly perfect stone that should come with an incredibly high price tag, or you have a fake. The latter is far more likely – under 2 percent of all diamonds are flawless internally in this way. Nearly all diamonds will show at least some internal inclusions. Nearly half of all diamonds have some fluorescence, so they may emit a blue light if you shine a black light on them. However, the lack of a blue light here is not a guaranteed sign that the diamond is fake, so you should confirm through other methods listed here or with our pros. To find out for sure if a diamond is real, or to learn about any of our diamond rings or other custom jewelry options, speak to the pros at AAA Jewelers today.